We took a quick tour of some of the World’s university apps. We drew them from a number of sources including ‘Best of’ blogs, referrals and a long time spent browsing the i-tunes UK App Store. Just to be clear – we didn’t look at everything and we didn’t apply any strict research techniques. We simply browsed, and played. We mapped everything we found and we pulled out some key themes. And by doing so we got enough to paint a landscape and highlight a few great examples to inspire us all. Nice Home Screen But…. 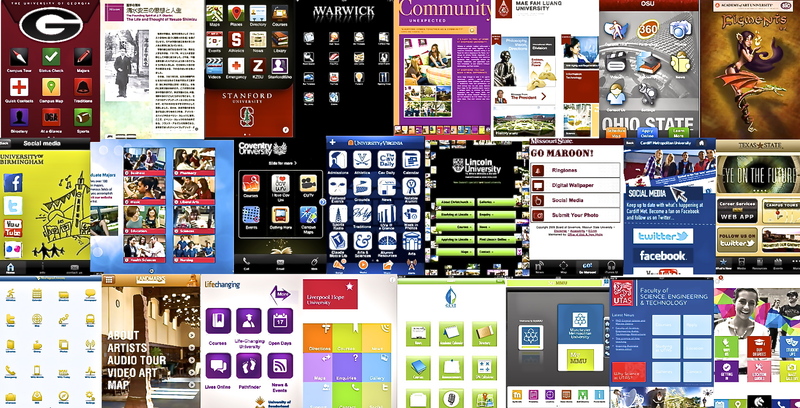 So many apps looked good at the start but the promise quickly faded into poor content, often seemingly randomly chosen. At least 20% of apps we looked at were navigation hell. Just Web Pages….You want an app to do something different from a website right? So why bother simply linking your app headers to web pages? Too many did. You would be better to build a really good mobile site or adopt a responsive themes approach. Who’s it for?…Strange as it may sound, many apps aren’t clear who they are for. Are they for just their students? For potential students? Alumni? Too many failed to make it clear. Why register?…. Over 20% of apps blocked us straight away, demanding log ins, passwords or registration, without saying what for. Not the most engaging experience. Too Many Templates…Clearly many apps are built by the same few companies. Some shine but most simply look the same. Time to stand out surely? The Problem Inside…On the other hand, some apps are created in-house by IT teams and whilst many show great ambition, some fall desperately short, particularly in glueing everything together, and in their design and usability. Ok, that’s the disappointment over with. Now the good stuff. Quite a few apps just try and replicate their printed cousins. They are usually disappointing. 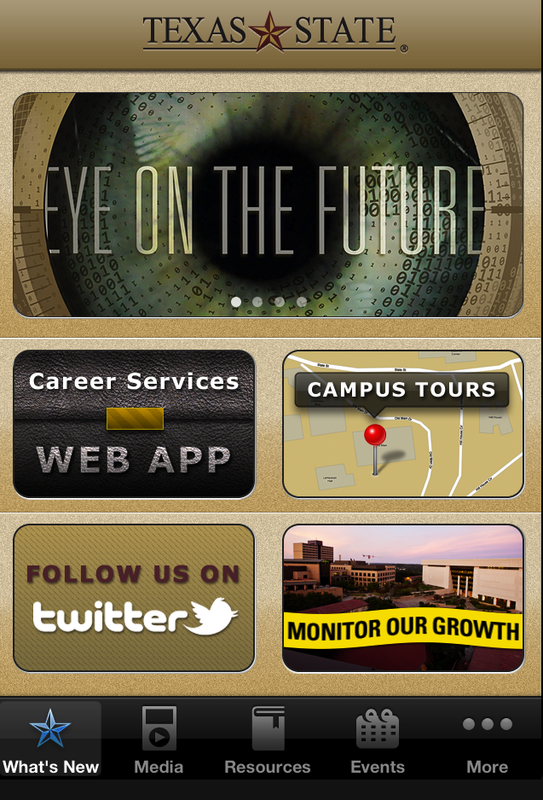 However, some take the content of the prospectus but turn it into an app experience that looks really good. Mai Fah Luang in Thailand created a great looking app that you can scroll around in any direction. Lincoln in New Zealand have an app that is simple, bright and functional. 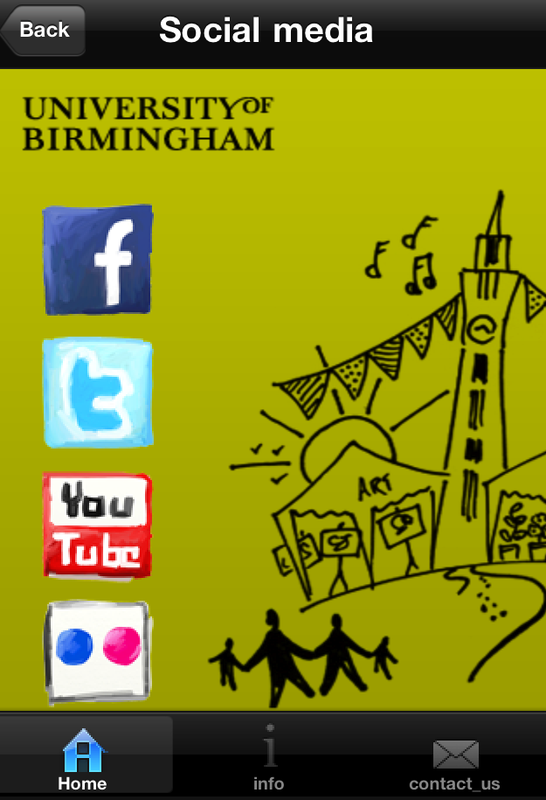 A prospectus in your pocket. Best of all were those apps that recognised the extra power of the app, especially in embedding video directly. JF Oberlin in Japan do this very well as does Duquesne in Pittsburgh, the latter using space particularly well to make the key messages stand out. Going one step further, the app can become a very cool, well designed magazine, reflecting the brand of the institution. 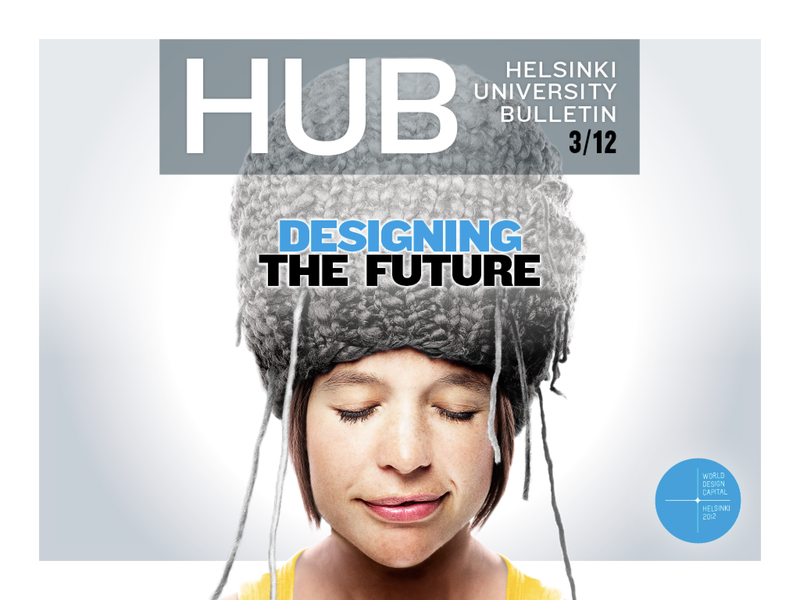 We love the look of Helsinki University’s ‘HUB’ – makes us think of them as the creative people they are. Have a look at Santa Rosa in the US and the app opens up shelf-style revealing a range of good looking reading material. There were quite a few apps that fitted nicely into the ‘proper app’ bracket. 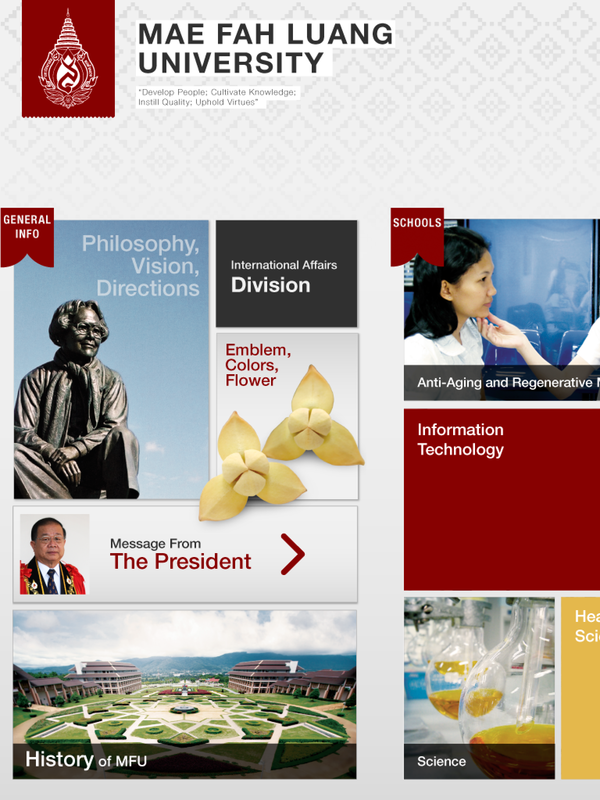 Essentially, they met our expectation of what a good university app would look like. These apps aren’t dressed up prospectuses; the are out-and-out apps, and most of them do a lot of the cool things you’d expect from a good app. Take a tour, find-a-friend, locate a computer, read a staff profile, ask a question – they’re all there. No surprises that in the US, Stanford and Harvard stood out. So did Ohio State (there are 31 campus panoramas alone), Georgia and West Virginia University. They are all worth a quick download and explore. No restrictions on these! In the UK we liked the approach from iWarwick, clearly pushing boundaries, and we found a few others that looked great and also integrated social media really well – Cardiff Metropolitan, the University of Birmingham (clearly recognising the importance of design) and Coventry. Also, over in Ireland, check out University College Dublin. (All of these are in the i-tunes app store and free so browse away). There’s something special in the personal touch. Thankfully, we saw some of it on our journey. Sometimes it was as simple as the tone of voice. The University of Newcastle, Australia, does this really well, taking away the formal edge and replacing it with a voice that seemed to know us as people. Eastern University in the US picks up on a big trend of offering an alumni ‘Crib Sheet’ to post-university living – giving help in everything from mortgages to finding real happiness! The University of Virginia really stood out for us as an app that, from the moment you enter, asks you to say what you are (student, alumni, business etc) and what you want. As with all great information apps, you can easily select the content you want to appear on page one. A great experience all round. 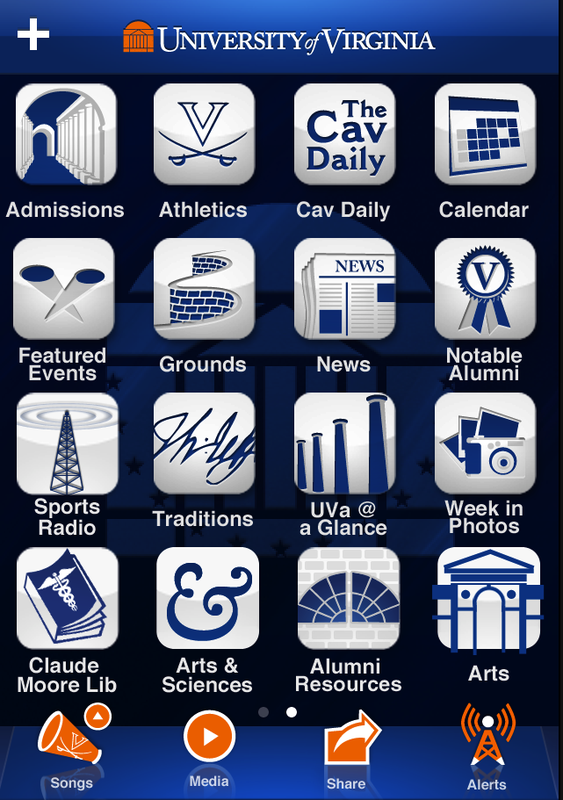 We love any app that really says what the university is about. Especially those that are brave enough to shout it out right from the start. We love that immediate confidence and differentiation. Especially when we are looking at lots of these things! Texas State does it brilliantly. On the first page you are met with a video ‘Eye on the Future’ and an opportunity to find out all about the university’s commitment to teaching what students need for future careers and to make a big difference. Future Index approved definitely! And then there’s all those apps that do something individual, simple and sometimes special. Here’s a few we liked:University of Sunderland: Their Pathfinder app is within the main app. The basic idea is that you can select a course and the app tells you what that course-alumni ended up doing as a career. It’s the type of information that is invaluable these days. It could be polished more and added to, but it’s on the right track. 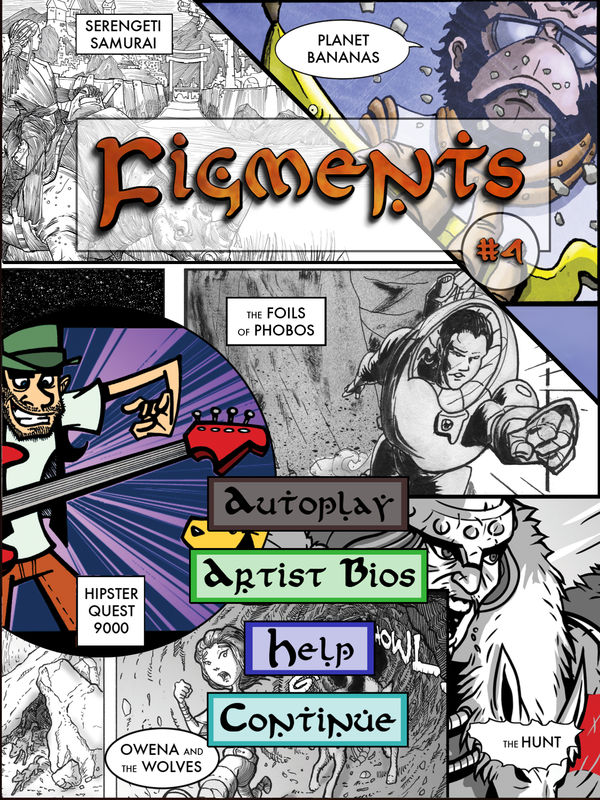 The Academy of Art: This San Francisco college has developed an app that showcases its students’ work in a really unique way – as a graphic novel. All very cool, great to look at and, undoubtedly, on brand. O-H-I-O: Finally, we have to mention Ohio State again. They have an app dedicated to people creating O-H-I-O with their arms (think YMCA if you’re struggling). Well it works for them with over 4,000 images submitted already. There are over 10,000 images on their Facebook page so clearly the world likes this. So we like it. A great reminder of how simple an app can be. Well the bigger picture is also a smaller picture. It’s wider and narrower too. It’s in your living room and soon to be in most cars. The new picture is that everything is getting ‘Smart’ – from TVs to screens in cars. At the moment, many universities are struggling to keep up with the current need of smart phones and tablets. So now is the time to make the big leap. Responsive platforms may be the way. Go have some fun with it! This is a rather longer than usual snap-shot from the Future Index. A bonus for you we hope! We look for the best of what’s out there and we inspire you to come up with your own breakthrough ideas. This snap-shot is from our ‘Future Communications’ edition, complete with trends, links, tools and a workshop to really help you stand out. Click here to learn more, or email jim.tudor@thefutureink.com or nick.brian@thefutureink.com We’d love to hear from you. This is a great wrap; the typology is useful too. Thanks Cameron – glad it’s of use. Reblogged this on Refresh Marketing Consultancy.